This was some book. It gave me so many mixed feelings. I wanted to hate it, to like it, to feel disappointed or in awe. The balance between the good things and the ones that I did not like is same as our main character, half-half. I will not dwell upon the story, as the blurb is very revealing. And to be honest, by the time I started reading it, I forgot what it was all about and dived right in blindly. I was happy to discover an amazing character. The author has created a true heroine, one that does not shy away from responsibility, one that is brave enough to face an unfair world. The way her struggle of not belonging anywhere was described impressed me a lot. Even her tricks to try and fit in did not help. But she has always had a guide. Even after her grandmother passed away, she has found consolation in her spirit, always being there to remind her of her childhood stories about a god of storm and goddesses. Jetta evolves from innocent to warrior, a fighter for human rights. 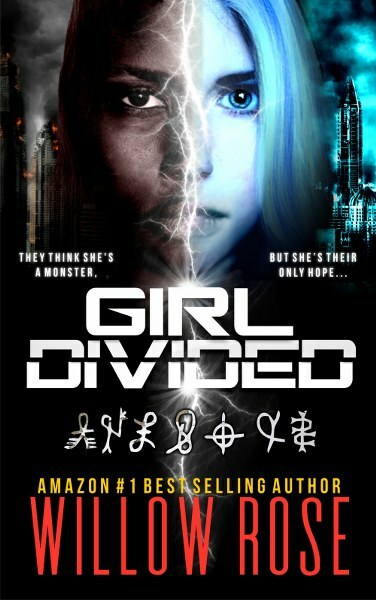 The symbols behind “Girl Divided” are impressive as well. In a world where there is no grey, only black and white, pure and impure, Jetta is both. Jetta is the link between them. She will represent both parties. But will she be able to keep her good heart and her mind clear of darkness? In a world so judgmental, she is the savior. While I loved all these aspects so much, I felt that the author took sides. The whites were to blame for this war, they were the bad party here. Also, the beginning was a little weird and I almost did not continue with it. Still, I decided to go ahead and I am happy to have done so. All in all, Willow Rose is an exceptional writer. 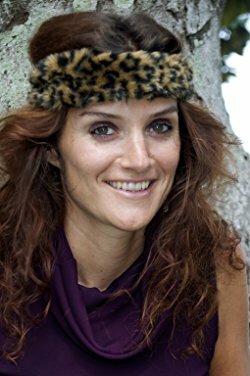 What she managed to create with this book is impressive and emotional. It will shatter your feelings, only to build up new ones. 4 stars and all may love to her for the amazing job she did with “Girl Divided”. It will for sure not be my last book written by her. We all have black and white inside us. We can be as good or as bad as we want. We can be as straight or …not straight as we please. As long as we respect each other, as long as we won’t lame our neighbors for the (ugly) music they play, we have our balance. Our soul is light and we must treat it lightly.